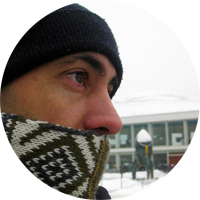 I'm an independent software consultant currently based in Madrid. I probably can help improve your software development project at some level. I'm available for technical advising, architecture/application design, Ruby and Rails code reviews, team mentoring and product management. I'm an Open Source and Open Science advocate and like to contribute patches, code or help to knowledge-sharing, opensource and collaboration projects. I'm a core team member at Consul, the opensourced tool for citizen participation. I'm part of the awesome ProRuby team. And I'm also building the Alpha Research Base. I contribute to the Ruby on Rails core, co-founded the Madrid-rb and the Spanish Ruby Users Group, and helped organize Conferencia Rails and the EuRuKo conference that took place in Barcelona. I'm a speaker at Ruby conferences and taught 'Web Application Development' and 'Object-Oriented Programming' university courses. Please contact me at hello@juanjobazan.com if you want to hire me, tell me about you or just say hi.